How does it work? When you place an order on www.clarins.co.za, you automatically earn reward points to use towards future purchases. Earn a point for every R10 you spend Online (not including VAT, delivery charges, loyalty voucher codes and Online Gift Vouchers). When you place an order, your points will be allocated to your account. Points acquired will appear in your account but will not be activated for 30 days. After 30 days, the earned reward points will be released and added to your available reward points balance. Points are valid for 2 years. After reaching 500 points you will automatically receive an e-mail with a promotional code to use on www.clarins.co.za. This promotional code will offer you a R100 towards your next order. Loyalty codes expire 6 months from the date of issue. 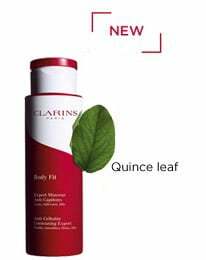 Thanks to our Reward Scheme, when you place qualifying orders on www.clarins.co.za, you will automatically earn Reward Points to use toward future purchases. • Everyone who registers for an account will automatically earn 50 points. If you haven’t registered, you can still receive points by registering on the ‘Thank You’ page right after placing an order. When you log onto your Account and click on the "My Clarins" section, you will be able to view your pending points, released or redeemed points in “My Rewards”. 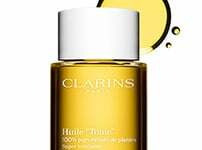 1) Pending Points: When you place an order on Clarins.co.za, points are allocated to your account. Points acquired by purchases will appear in your account and have a waiting period of 30 days before they can be redeemed. 2) Released Points : After the 30 days waiting period has passed, earned points will be released and added to your available balance. 3) Redeemable Points : After reaching 500 released points you will automatically receive a voucher with a promotional code worth R100 to use on your next order. 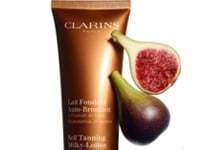 After reaching 500 released points you will automatically receive an e-mail with a promotional code to use on www.clarins.co.za. This promotional code entitles you to R100 towards your next order. To use your code, simply put it in the "Promotional Code" box during the checkout process. When a promotional code has been accepted, it will be displayed on the “Order Review” page. Please note you may use one loyalty promotional code per order and may combine it with any current gift offer that does not require a Promotional Code on the site, providing your total order value with your Loyalty code applied is over the qualifying spend threshold. Once you have been sent your Loyalty code, the points will be deducted from your Rewards balance. Clarins points have no cash value and can only be redeemed for products from www.clarins.co.za. Loyalty codes are not tied to you. 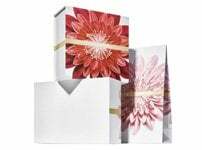 You may wish to give yours to a friend, however, a promotional code can only be used once. If an order which generated points is refunded, the amount of points originally granted will be deducted from your pending balance. Your Clarins reward balance is displayed in your Account under “My Rewards”. The “My Rewards” page will initially show your released points, then the points you’ve redeemed with the accepted promotional code/s. You will also have a historic overview of all past promotions used. Under “My Points” you can see the purchase history with all points earned and their status.